iPads or tablet PCs are the most wonderful tools for learning and teaching English. Students are more attracted towards iPads as compared to other devices, and use them to access online resources in their classrooms. With the help of the thousands of education and language apps available in Apple’s app store, students make effective use of the iPad to learn in an interactive environment. Given below is a list of some of the best iPad apps for learning and teaching English. Grammar is the heart of any language and, thus, the Grammar Up app is one of the most highly recommended apps for English learners. This app is specifically designed for people who want to improve their grammar, vocabulary and word selection. 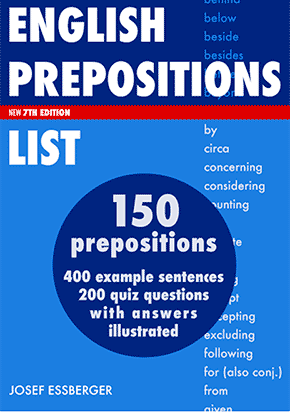 It consists of more than 1800 multiple-choice questions grouped under twenty different grammar categories. The English LaunchPad is an app especially designed for English learners and teachers. This app offers a complete package that is full of useful information to help boost your English learning experience. The common features of the English LaunchPad app include practice exercises, lesson plans, grammar structures, whiteboard, quiz generator, student tracking, student roaster, translator and flash cards. If you want a great tool for creating instant formative and summative assessments, then Socrative is the app for you! Socrative is a cloud-based app by which teachers can easily create a variety of polls, quizzes and various other practice exercises for students, while monitoring and keeping a check on the students’ response. “Learn English the fun way” is an amazing app for grammar and matching lessons in which English learners get to do simple exercises such as matching an animal or a short description of something to its picture. Recommended as one of the best apps for English educators and learners, SpeakingPal allow users to record and compare their speech with a native English speaker. This amazing app combines video with automatic speech recognition software that tests your English speaking skills. You just have to speak with a video character and get immediate response on how well you said and pronounced all your English words. In short, this app basically understands and rates your speech. The Grammaropolis app can be called the school of grammar. It shows the parts of speech in the form of animated characters that have different personalities based on their respective roles in a particular sentence. This app makes learning grammar more fun and exciting. iFPoems is a fantastic app for poetry lovers. This app consists of a great collection of poems from famous poets around the world. It also allows users to save their favorites along with recoding their own readings of the poems. Turn your word-meanings search into a fun experience with the Wordflex Touch Dictionary app! Developed exclusively for iPad in association with the Oxford University Press, the Wordflex Touch Dictionary app converts your word entries into attractive trees which you can move, drag, share and reorganize using touch gestures. This app is among the best as it also contains audio pronunciations both in UK and US English, which is a great benefit for English learners. The Dynamic English Lessons 3 – Idioms is an app that helps students learn and remember idioms using interactive games, fun graphics and practical examples. The idioms are grouped under six different categories including animals, body parts, objects, action and sports, food and drink and miscellaneous. By using the dial, you just have to select the right words in order to complete the idiom that is shown in the picture. 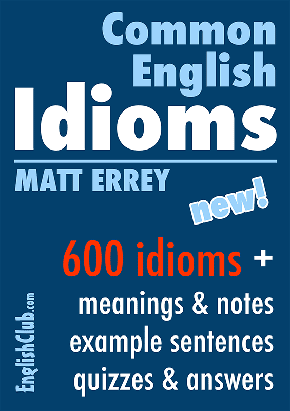 It is one of the best apps if you want to test yourself on how to use idioms correctly. iBooks is a complete book library for the iPad users. It includes the iBookstore and allows users to download and read books for free. It also allows users to save their favorite classics for free. The app features a beautiful bookshelf, on which you can browse various books; tap a book to open and read it, and add notes to your favorite paragraphs in the book. You can also create your own texts and upload them into the app. Miley Wils is an expert research writer at Assignment labs, a company that provides academic writing help & tips to the university students. She is also an education technology enthusiast, who frequently blogs about digital learning trends that are positively influencing education industry. I like English,I want to learn English. The connection of repetitions for learning and for repeating English stanzas needs no amplification. These were learned by heart on a day with not as much as half of the repetitions important for the most brief of the syllable. The entire business of English Literature in a year, to know it in any respectable feeling of the word – not to mention your learning how to understand English – is, too short impossible. This is very nice for learning English apps, thanks for sharing. Thanks for sharing your wealthy information.I get a help from your article.I want to take part of this site and make to discussion new topic on this site. These apps are really informative for the students and will be helpful for them as it increases the knowledge.